– Excerpt from our review of Matthew Crehan‘s new graphic novel on the life of Steve Prefontaine. 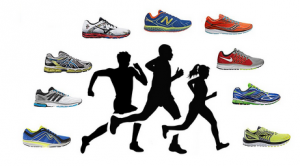 Do we actually need running shoe stores? 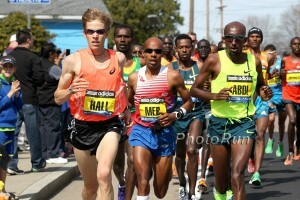 Elite marathoners who WORK full time? 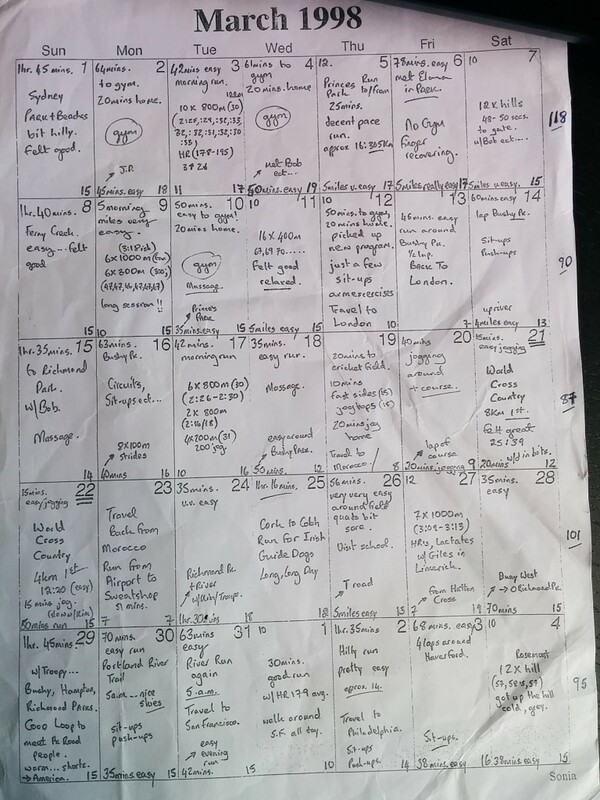 LRC Preview Of 2015 Friday’s Distance Night: Can Mo Farah Run Fast In The 10k? Will Galen Rupp Be In Form After Disappointing Indoor Campaign? The action on Friday night should be riveting and we break it down for you. Plus an American has never won a DL 5,000 and we guarantee that streak will continue. 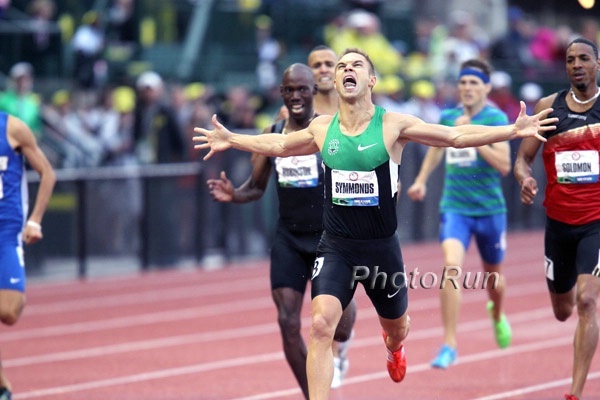 Will Rupp finally take the white-guy 5k record from .Dieter Baumann at The Pre Clasic? Good Read: Genzebe Dibaba Talks About Hopefully Carrying Her Indoor Success To Outdoor And Says Her Coach Thinks She Can Run 14:10 In the past, the extreme rainy season in Ethiopia and/or injuries have hindered her training for outdoors. Last summer she trained in Europe and she wants to keep doing that, and is hoping for big things. Ken Goe Profile Piece: “At Long Last, Galen Rupp Is Within Reach Of The Mountain Top” Rupp thinks he can win gold in 2016. Video: Interesting Video On New Zealand Twins Jake And Zane Robertson And Their Story Of Living/Training In Africa Interviews with Jake and Zane on how they left home at 17 years old to live and train in Africa and with their mom about how she has gone years at a time without seeing them. Zane Robertson Hoping For World Standard In His Track 10K Debut At Pre Classic The standard is 27:45 and the NZ national record is 27:41 from 1977. Shelly-Ann Fraser-Pryce, Murielle Ahoure, Blessing Okagbare Lead Stacked Women’s 100 For Pre Also Tori Bowie Carmelita Jeter, Tianna Bartoletta and Michelle-Lee Ahye (10.85 PR). The “B” 100 is loaded as well and has WJ champ Kaylin Whitney. Oregonian Reporters Spent Three Days “Behind The Scenes” With NOP Training At Altitude In Park City, Utah Jordan Hasay is rehabbing an injury. LRC Book Review The Art Of Running By Matthew Crehan – A Graphic Novel Telling The Story Of Legendary US Distance Runner Steve Prefontaine Over the years, movies, books, T-Shirts – just about everything imaginable – have been made to tell the inspiring life story of Steve Prefontaine. 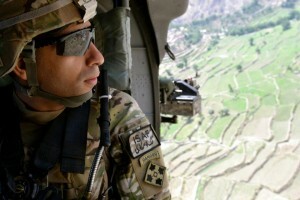 But now for the first time, there is a comic book graphic novel that tells his story. Wilson Kipsang, Dennis Kimetto And Edna Kiplagat Among Those Named For Kenya’s “Provisional Marathon Squad” Of 11 Runners For Beijing World Champs Knowing Athletics Kenya, they’ll make them all run a time trial the week before Worlds to decide who goes. Hey AK, just pick your 6 and be done with it. *Kenyan Headline: “Eliud Kipchoge And Mary Keitany Chicken Out” They apparently ruled themselves out of selection. Even When It Comes To Team Awards, Edward Cheserek And Eric Jenkins Refuse To Beat Each Other They split the Outstanding Athlete Award at the Oregon end-of-the-year banquet. 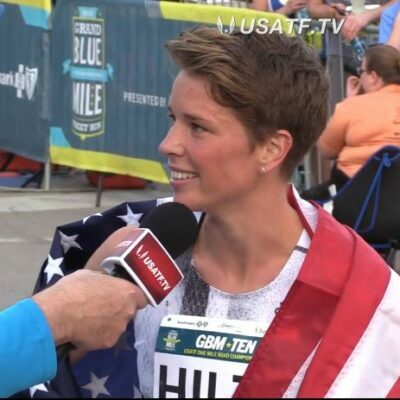 Kim Conley Out For The Season With Injury She is healthy now, but after losing weeks, won’t be race ready in time to defend her title at the US Championships at the end of June. Sifan Hassan Wins Women’s 1,000 With The Fastest Time The World Has Seen In Six Years (2:34.68) Robert Biwott won the 1,500 in a world-leading 3:33.64 while Nixon Chepseba went through 800 in the lead, but died and ran 3:53 for 15th. Marcin Lewandoswki won the 800 in 1:45.46 and Irene Jelagat won the 3,000 (8:36.90) over GB’s Laura Muir (8:38.47). Dafne Schippers set a Dutch record in the 100, winning in 10.94. *19-Year-Old Diana Asher Smith Sets British 100m Record With 11.02 Seconds She was 2nd to Schippers. LRC Ponce Grand Prix: Charles Jock Gets Big Win Over Nick Symmonds And Cas Loxsom Jock won in 1:45.40. Georgetown alum Rachel Schneider got a solid PR to take the 1,500 in 4:08.46 while Cory McGee was 3rd. Trinidad & Tobago’s Michel Cedenio ran 44.97 to win comfortably over LaShawn Merritt (45.42); Jeremy Wariner was 9th (46.22). LRC David Rudisha Pulls Up Injured At 2015 IAAF World Challenge Meet In Ostrava, Usain Bolt Runs 20.13 In 200 Plus Asbel Kiprop in the 1k, Dejen G. in the 5k, Asafa Powell in the 100, and a new Kenyan national record in the javelin. Updated: Rudisha says it’s not “a very serious injury” and he hopes to be back training within a few days. *Bolt: “You can’t be satisfied if I don’t bseak 20 Seconds.” He said the cold/rainy conditions were partly to blame for the slower time. Southern California Leads Exceptionally Close DI Women’s Team Race Updated rankings have Arkansas moved down to 2nd, Kentucky to 3rd from 5th, Oregon down to 4th. Florida And Texas A&M Lead Tight Men’s Race Before NCAA Prelims LSU and Oregon are ranked third and fourth. Ken Goe Questions Why Oregon Coach Robert Johnson Was Passed Up For PAC-12 Coach Of The Year As It Was Given To USC’s Caryl Smith Gilbert Oregon won both PAC-12 team titles, but USC made them work for it. 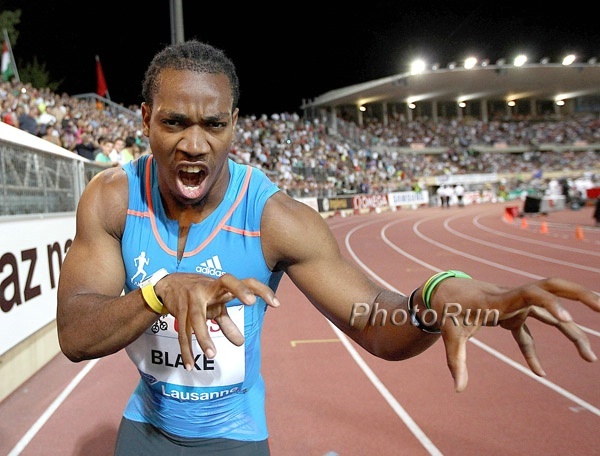 Yohan Blake Says He’s Back At Full Fitness, But Won’t Be Rushing To Jump Back Into Competition He might get back into racing sometime in the next month, but is taking the long-term approaching looking ahead to Rio 2016. Profile Piece On Asafa Powell: “A Man Who Divides Opinions” If opinion is divided, this author is definitely on the pro-Powell side as he writes Powell is “unfairly criticized” for not coming through at major championships. This Morning: Usain Bolt Press Conference In Ostrava Bolt didn’t even know who he was racing, probably because his biggest competition will be a Kenyan. (Actually not as bad as it sounds as Carvin Nkanata ran 20.14 this year). Watch Out World: Calabar High School Will Become First High School In Jamaica To Get A Synthetic Track Jamaican high schoolers do most of their training on dirt or grass. Usain Bolt In The 200, Asafa Powell In The 100; David Rudisha In The 600; Asbel Kiprop In The 1,000 France’s Pierre-Ambroise Bosse is also in the 1,000. 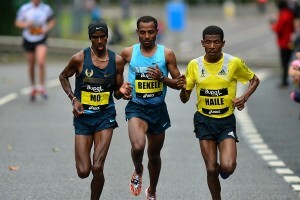 Olympic silver medalist Dejen Gebremeskel vs. former World XC champ Japheth Korir in the 5,000. Current world leader Dawit Seyaum (4:00.96) is in the 1,500, Christian Taylor in the TJ, Bogdan Bondarenko in the HJ. 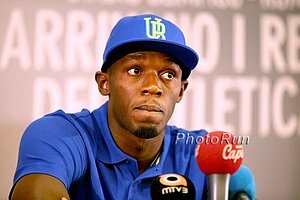 Usain Bolt Says He’s Getting In Much Better Shape Than He Was At The Start Of The Season And Will Be Focusing On 200 Training In 2015 He said his coach (Glen Mills) is expecting a fast time in Ostrava based on his recent workouts. 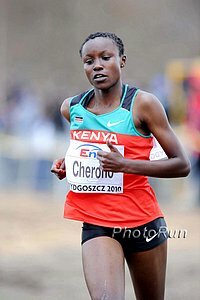 Unheralded Nancy Chepkemoi Gets Shock Victory In 1,500 Over World 5,000 Silver Medalist Mercy Cherono Chepkemoi ran 4:06.5 to Cherono’s 4:07.2. World Relays DMR silver medalist Timothy Cheruiyot won the men’s 1,500 in 3:41.3 as Asbel Kiprop sat out of the final. Elijah Kipchirchir took the 5,000 (13:51.8); Willy Komen the steeple (8:37.2). 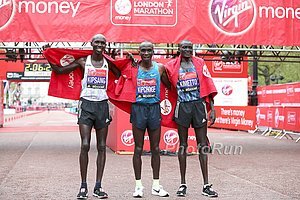 Little-Known Emmanuel Kipsang Gets Upset In 10,000 Over Geoffrey Mutai And Drug Cheat Matthew Kisorio Kipsang ran 28:26.2 at altitude to beat Mutai’s 29:06.1 and Kisorio’s 29:06.2. 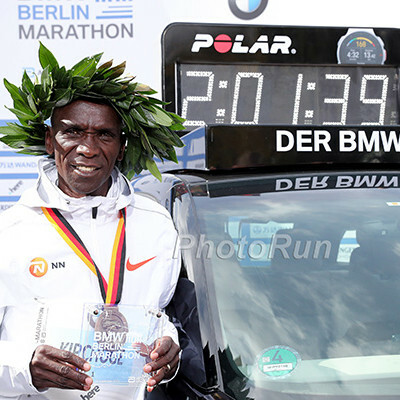 Friday: Asbel Kiprop Runs 3:36.09 1,500 In Kenya One coach said it was worth a 3:28 at sea level. If you believe in the NCAA conversions for altitude, this is very plausible since a 3:36.09 in Flagstaff (slightly lower elevation than Eldoret) converts to 3:28.22. GB’s 1980 Olympic 100m Gold Medalist Allan Wells Accused Of Doping By Former Teammate In BBC Documentary Wells angrily denied the accusations which this same teammate (who admitted to doping) has made in the past. GB 400 Hurdler Rhys Williams Wins In His First Race Back From Doping Ban At Welsh Regional Championships He ran 53.45. Meskerem Assefa Wins Bolder Boulder 10K In 29:04 As Bobby Curtis Gets 4th (29:42); Team USA Loses Out To Ethiopia By 4 Points Abdi Abdirahman was fifth (29:50.78). Ethiopia’s Meskerem Assefa Wins Bolder Boulder 10K In 33:31 As Ethiopia Easilly Beats The US In The Team Competition Matti Suver was the US’s top woman in 6th. Jo Pavey (32:36) And Andy Vernon (28:38) Win British Road 10K Championships Pavey ran through illness as she was up all night before the race vomiting. Daily Relay’s Weekend Recap: Trouble For US Quarter Milers And Another Kenyan Star Robert Biwott ran 3:33.64 in Hengelo, winning by more than a second. Sergey Bubka Says More Should Be Done To Engage Young People In Athletics He seems to be talking mostly about participation. We think that’s already fine; focus on getting those kids to be fans of elite track. Adam Clarke (4:05) And Racheal Bamford (4:39) Win British Mile Championships At The Bupa Westminster Mile In the “Olympians mile” which featured 80 former Olympians, Steve Cram won in 5:40. Kenya’s Elijah Tirop (61:01) And Ethiopia’s Mulu Seboka Win Karlovy Vary Half Marathon Tirop beat out Nicholas Kipkemboi by 12 seconds. RIP Former Racewalk Champion Anna Rita Sidoti She died from breast cancer and was only 45 years old. Good Read: Megan Hogan Is A Former College Basketball Player Running Well On The Pro Scene While Working Full-Time Hogan found out that living strictly as a professional runner wasn’t for her. When she first got back into running she raced under fake names as she didn’t want any attention. 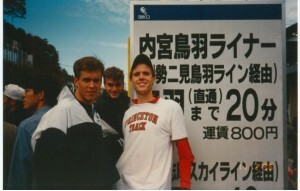 Good Read #2: Q&A With GB’s Former Overweight Smoker Turner, Now Elite 40-Year-Old Marathoner Steve Way Way talks about hiding in the bushes rather than run as a kid, his post-race binges and how his form is so bad that his physiotherapist uses a video of him to teach people how not to run. Adams State’s Tabor Stevens Has Ambitious Goals Including Making The US World Team In The Steeple And Running The First Sub-4 Mile Ever On Colorado Soil A few weeks ago Stevens set the Colorado soil record at 4:01.27. He’ll run his last collegiate race this weekend at DII Champs. Vivian Cheruiyot Says She Is Close To Her “Best Shape” And Is Hoping To Get Back The World Title She Won In 2011 She did the 5,000/10,000 double in 2011, but only plans on doing the 5,000 in Beijing. Next Saturday: Former World XC Champ Emily Chebet Leads Field For Freihofer’s Run for Women 5K In Albany, NY Also racing are World Champs 5th placer Buze Diriba, 2004 Olympic silver medalist Isabella Ochichi and Burundi’s Diane Nukuri-Johnson.